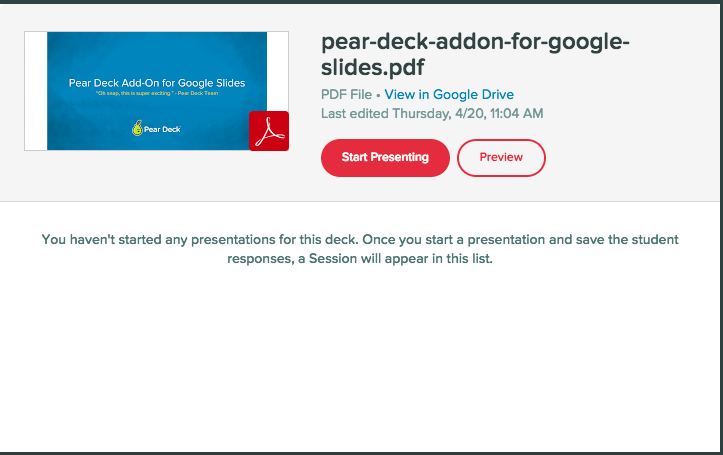 You can present a Google Slides file or PDF file even if you've never added Pear Deck questions to it. This is a good option when you don't have time to pre-plan an interactive lesson. 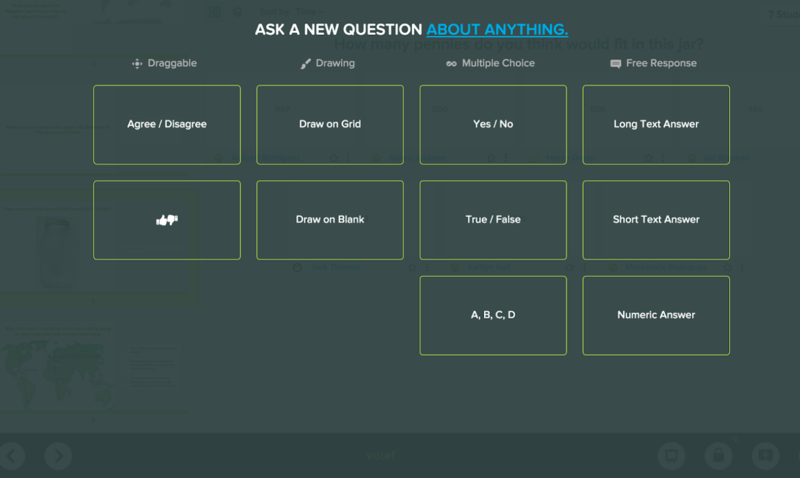 You can still add quick polls and formative assessments on the fly. Next, you can decide to Start Presenting or Edit the file. While presenting, click the Ask a New Question button. 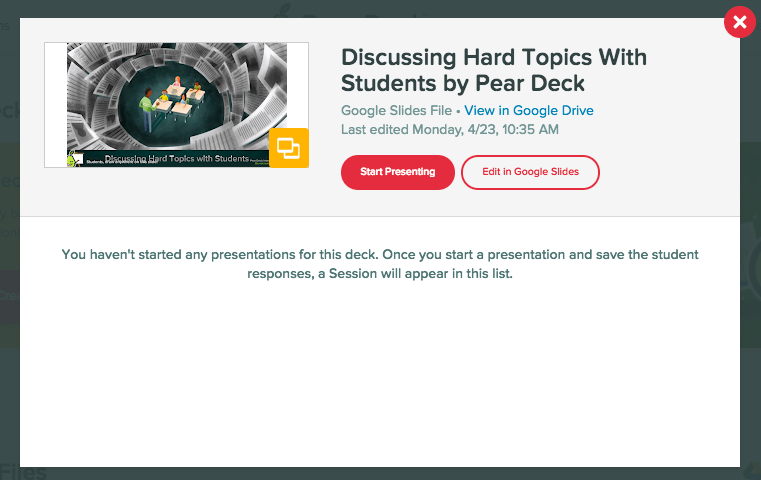 You can also present your PDF in Pear Deck and ask questions on the fly. Open your Google Drive and find the file you want to present. Or, if you have a PDF in your email, you can click on the file from there. A preview window will open. Click Open with at the top. 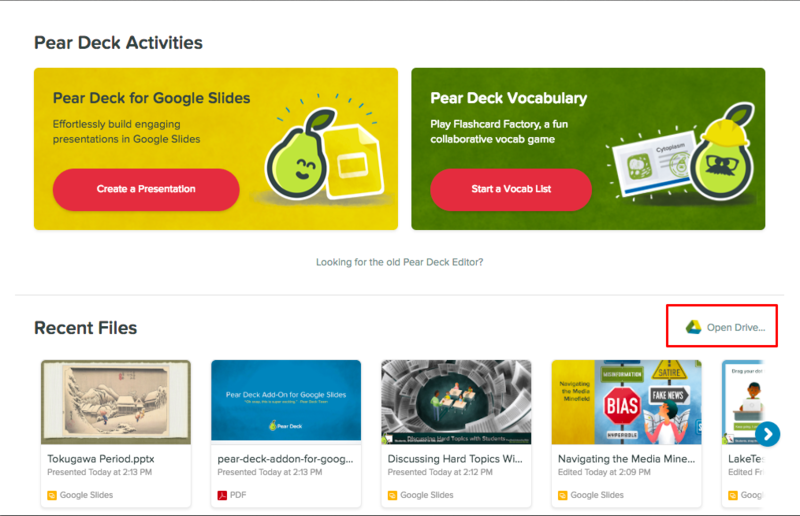 In the drop down menu, choose Pear Deck. A new window will open. Click Start Presenting. While presenting, you can click the Ask a New Question Button and pick the type of answer input you want to show students (see steps 5 and 6 above).